If you know anything about me, you’ll know I have huge love for two things: make-up and High School Musical. 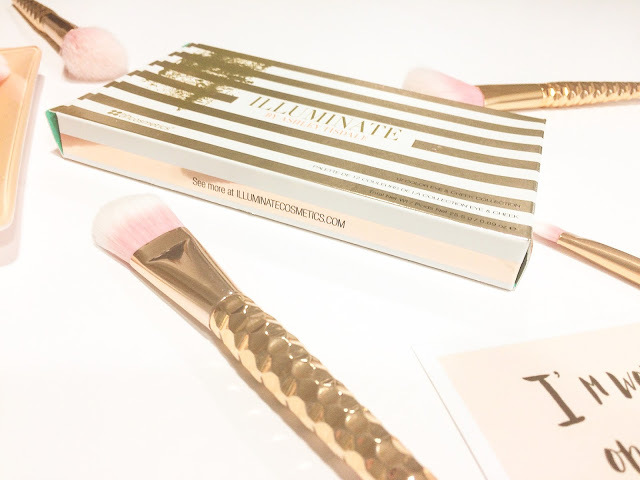 I’ve been a fan of both for many years so when Ashley Tisdale, who plays Sharpay in the movies, announced that she would be producing a make-up collection, I went on the hunt to find it. Unfortunately, being in the UK, I could only find the collection on American sites and for someone who refuses to pay delivery from UK sites, you can bet I wasn’t pay for delivery from the US and probably an extra customs charge. 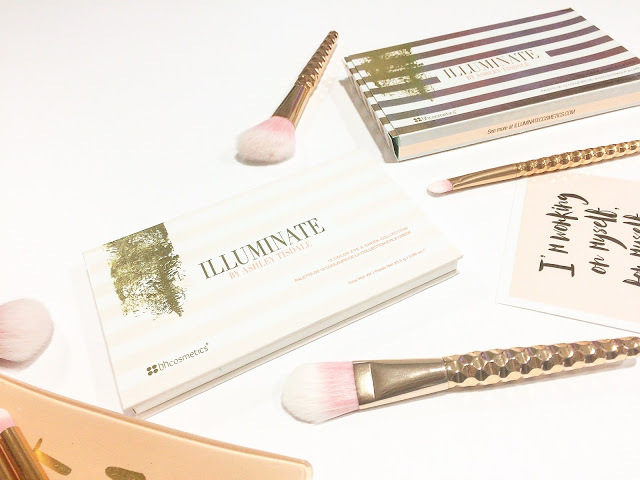 So I waited it out for a while and low and behold, when browsing on Beauty Bay a few weeks ago, I came across the BH Cosmetics Illuminate Beach Goddess palette finally! My order was predominantly filled with LA Girl products (brand focus post to follow soon!) but I added this palette on the off-chance. It was on offer for £10.80 (now back up to £18) which is similar to what I’d pay for a Make-Up Revolution palette so I thought, why not? As soon as I opened the parcel, I fell in love with the packaging. Gold, white and baby pink is a great colour combination. Is it sad that I thought these would be very Instagram friendly before I’d even opened the product? 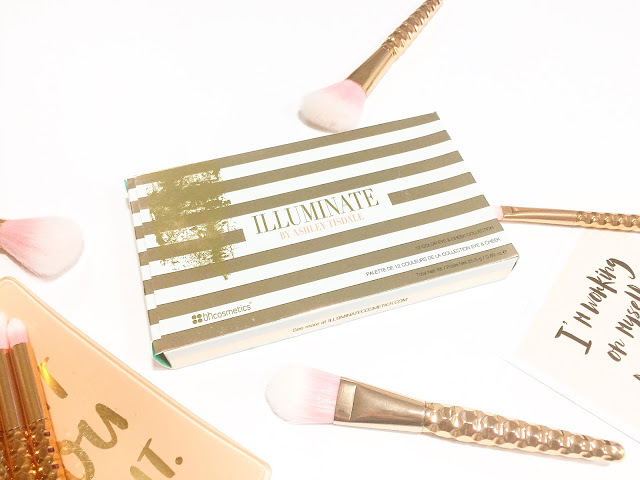 I couldn’t believe how incredibly light the palette was either! I don’t think it’s the best quality packaging I’ve ever come across but it’s pretty and very lightweight. I think I’ll use it as my travel palette when I go away somewhere! Upon opening, I was pleasantly surprised by the shades. They are mostly nudes with a touch of pink, purple and dark grey. I’d say it is mostly a daytime palette; apart from the purple/grey, the other shades would be wearable on a daily basis which makes it even better for travelling too! Top row (L-R): Dusk, 4AM, Nocturnal, Moonlight, Wild Child, In The Stars. Bottom row (L-R): Night Owl, Animal, Dangerous, After Dark, Twilight, Dawn. The main issue I have mostly is the pigmentation, or lack of. 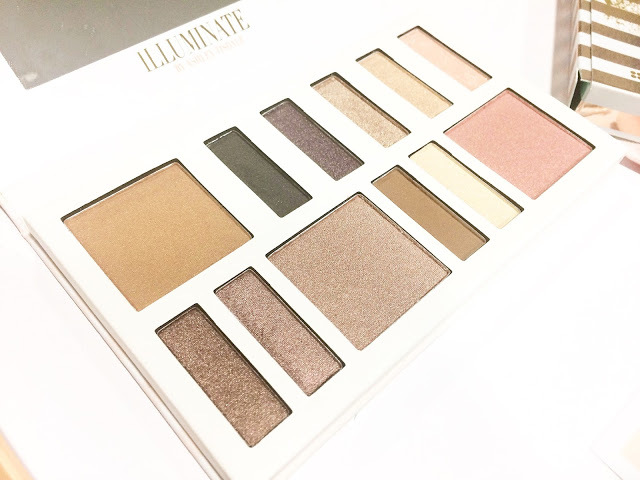 The shades look beautiful in the palettes itself but on application, there are incredibly sheer. I suppose for a daytime palette that’s to be expected but most shades required a couple of coats. As well as nine eye colours, there is also a blusher, bronzer and highlight. 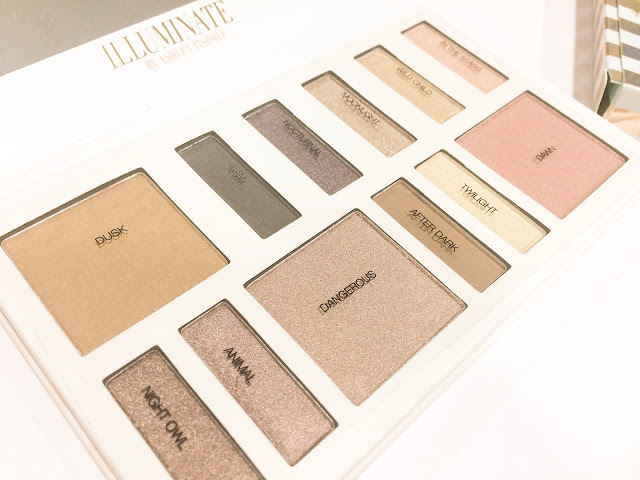 I believe the squares are meant to be the cheek colours but seeing as I don’t use blusher, I’ll probably just use that as eyeshadow or occasional highlighter! 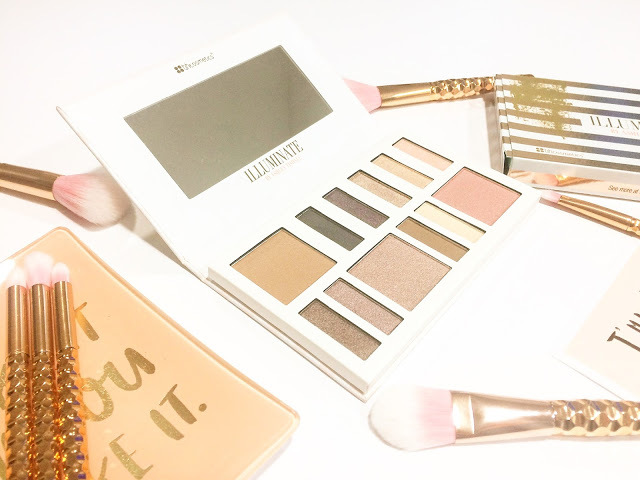 I like that they’re in one palette so you can save room in your make-up bag for extra lippy! Unfortunately I don’t have any swatches because my arms are covered in eczema right now and make-up on them would irritate it even more! I do like this palette; for what I’ll be using it for (travelling), it does what I need it to do. It has universal shades inside, is lightweight and means I can layer up on shades to get a more dramatic look. However, I am a little disappointed because I’m not sure how long the packaging will last and the pigments of the shadows are very weak. I think I’d buy this as a gift for a younger girl who is experimenting with different looks but I’m not sure a make-up guru would be a fan! For me, I can deal with the lack of pigmentation by layering the shadows and using a good eye primer! 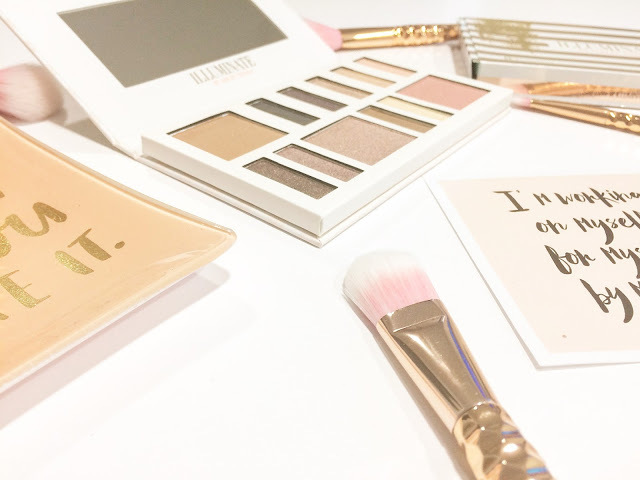 If you want to see what the Beach Goddess palette is like for yourself, you can find it here on Beauty Bay.